Stop chasing your Chimera. It's already here. Taste it. In ancient Greek mythology, Chimera was the only daughter of Typhon and Echidna. Worthy of her parents' legacy, she had the head of a lion, the body of a goat and the tail of a snake. Those particular looks and intentions distinguished her from any other creature in the ancient world. Daughter of the most powerful wind and the deadliest animal, Chimera was made of air and earth. Thus, when she fell in love with Orthrus, a two-headed dog, she was determined that she had to use all her skills to seduce him. Yet, she thought that she had better have the help of a mighty god, too - who else? Zeus, father of gods; the most active and sensitive to love matters. Chimera begged Zeus to help her charm Orthrus, and he eagerly agreed to, but only gave her one chance to do so. He would transform her into a beautiful woman, and Chimera would have the opportunity to use her intelligence to make Orthrus love her back. If she managed, she could have Orthrus forever. If she failed, she could not lay eyes on him ever again. That same night, Chimera picked the cream of the crop from the finest vineyards in Greece, and added a unique ingredient of unparalleled benefits; Saffron, from a northern city of Greece, Kozani that would work in her favor. However, crocus' distinctive orange-ish colour could make Orthrus suspicious about the drink, so Chimera saved it in a white container and served it in colorful glasses. The two paired that night, and soon Chimera gave birth to the lion of Nemea and the Sphinx. Ancient myths and Greek legends are as old as our winery tradition. Ancient Greeks knew from the very beginning all the beneficial properties of wine and were able to cultivate vineyards, since Greece has always been one of the few nations globally that have been favored by divine climate, weather and geographical position. 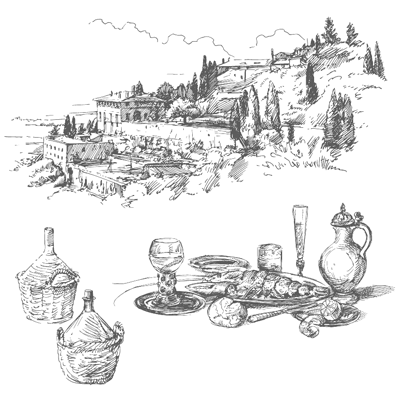 One fact of great significance is that Theofrastus in his writings, which are referred to wine, imprinted the way ancient Greeks cultivated their vines, which acted as a guiding light for many of the current practices modern Greeks used to have their variants of wines as well. Drinking wine with honey or herbs was something widely known for its positive effect on the human body. To date, Chimera is a synonym to infinite imagination, passion, and creativity, while it also symbolizes one's pursuit of what seems unattainable or elusive ("to chase Chimeras"). Based on this theory, Chimera Sparkling Wine opens a new window in the world of taste and wine impressions. Its innovative nature captures the elegance and supremacy of a new age product, the one that can stand in any occasion and on every mood. Its delicate flavor accompanied with the levity of the bubbles and the very special aroma of the Greek red saffron, gives to the drinker a unique tasteful experience. 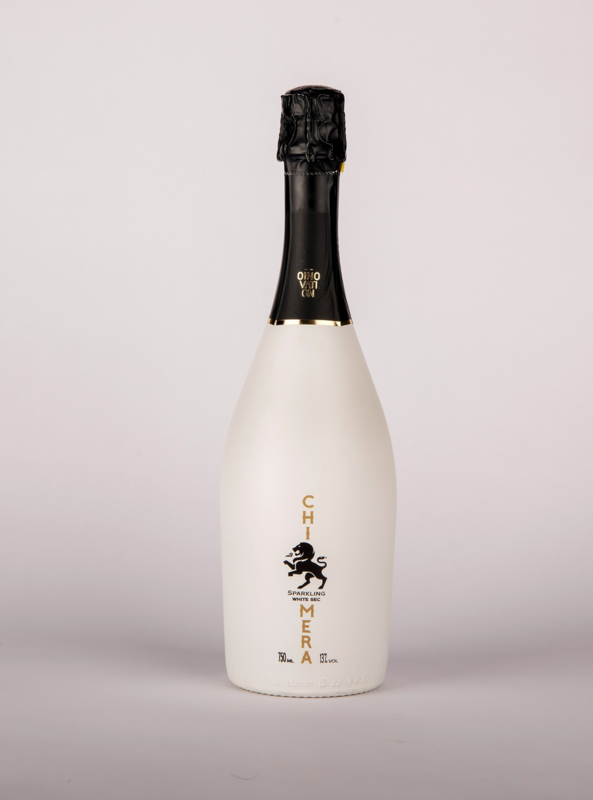 Chimera Sparkling Wine confirms that nothing is impossible, good taste is possible, a good wine is possible, and having it in your glass; the most likely of all. For the first time a private initiative produces a product as Chimera. A sparkling wine that includes the popular saffron from Krokus Kozanis along with an outstanding grape blend. Grapes are gathered really carefully from the vineyards, are getting pressed and fermented in stainless steel tanks. The second fermentation is with the traditional champenoise method and by adding Krokus Kozanis. The final product receives an aroma of complexity, seductive slim bubbles and a strong aftertaste. After you submit the age validation form and enter the Website, the Website will make use of so-called "cookies". Cookies are small text files that the Website stores on your user device. A cookie is placed to remember the information you submitted on the age validation form. Without this cookie, you would have to re-submit the age validation form everytime you want to visit the Website.